Over the past several weeks, I have had a great opportunity to work with Audi of America on a topics and discussions for #GermanCarChat. One of those opportunities was to do a Q&A with Audi regarding topics that have been brought up by Audi and car enthusiasts in past chats and/or forum discussions. Below are some of those questions and the responses that I got back from Audi. AFL: With stricter fuel economy and emissions standards being implemented in the EU and the US, are there plans to continue producing an A8 L with the 6.3-litre W12 engine; versus, downsizing to a higher-output version of the biturbo 4.0 TFSI engine or another lower displacement, force inducted engine? 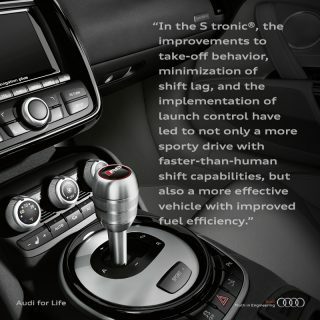 Audi: In our flagship vehicle, clients demand the ability to choose a drivetrain that best suits their lifestyle. For some, a W12 engine’s effortless propulsion and composure at any engine speed is the best choice, while others look for the efficiency of a diesel. 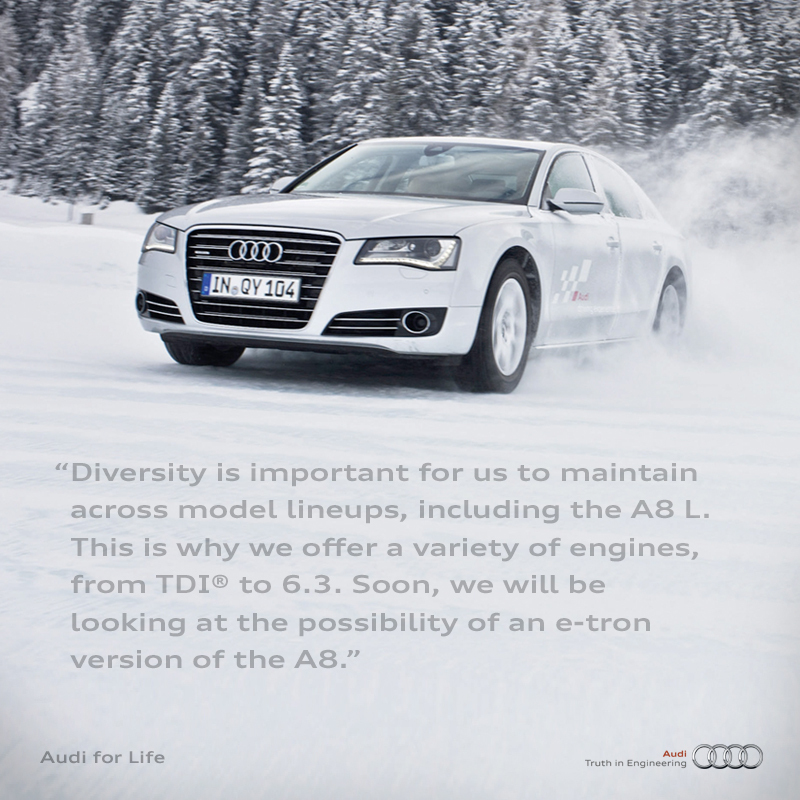 Diversity is important for us to maintain across model lineups, including the A8, which is why we offer a variety of engines, from TDI to 6.3. Soon, we will be looking at the possibility of an e-tron version of the A8. AFL: One of the Audi engines that has won huge accolades by the press and owners is the supercharged 3.0 TFSI engine that has made its way throughout the product line (S4, S5, Q5, A6, A7, Q7, A8). The most important differentiation between the 3.0 TFSI and the rest of the TFSI engine line is the use of a supercharger rather than turbochargers. Will we see Audi continue to incorporate supercharging in future engines? Audi: Supercharging and turbocharging are effective methods for downsizing engines without sacrificing performance, depending on the desired driving characteristics. You can expect to see both of these methodologies strategically implemented in our lineup. AFL: With S Tronic and 8-speed Tiptronic gearboxes replacing manual gearboxes, what are some of the lesser known features that Audi has incorporated to the gearboxes to provide a dynamic or sporty feel that some would miss versus a car with a manual transmission? Audi: Ten years ago, gearbox advancements were made in the hardware, such as perfecting dual-clutch technology and increasing the number of gears in the transmission. Today, progress is taking place within the software. For example, in the S tronic, the improvements to take-off behavior, minimization of shift lag, and the implementation of launch control have led to not only a more sporty drive with faster-than-human shift capabilities, but also a more effective vehicle with improved fuel efficiency. AFL: There have been comparisons between the earlier versions of the Audi quattro coupe concept and the new Audi Sport quattro concept, particularly with the change in the drivetrain (from a 2.5 TFSI engine to the biturbo 4.0 TFSI and electric motor) and the increased vehicle weight. Could you provide some insights into why the change in drivetrain was made? Audi: The engineers in Neckarsulm use concept vehicles to test our new technologies and in this case, Audi is looking at ways to package e-mobility solutions. Audi is aggressively investigating the opportunities and drawbacks of different drivetrains in order to find ones that suit the character of the brand. In the case of this recent concept, as with many electric vehicles, the additional components increase the weight of the vehicle. 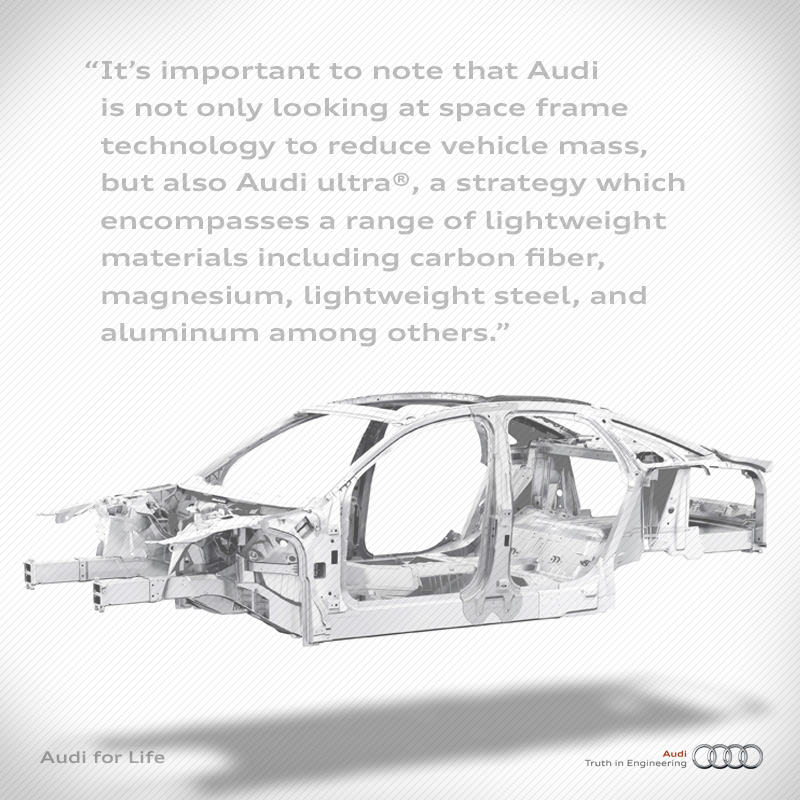 AFL: This year marks twenty years of Audi Space Frame, which made its debut at the 1993 Frankfurt Motor Show and incorporated into the Audi A8. Since then, the Audi Space Frame has found its way into the Audi R8 and into a portion of the TT line. Have any of the experiences and techniques gained from designing and incorporating Audi Space Frame made its way into other design and structural aspects of other Audi models? 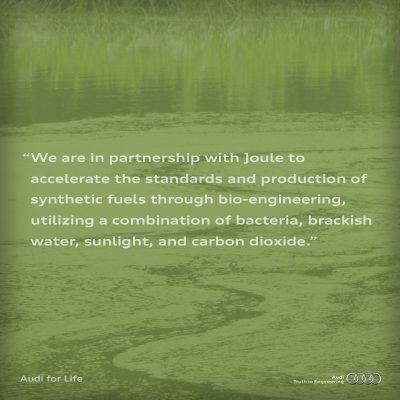 Audi: At Audi, advancements in technology are not developed in silos. For example, the knowledge gained from working with aluminum in the R8 and TT has been applied to a across the lineup, most recently in the Audi A3. 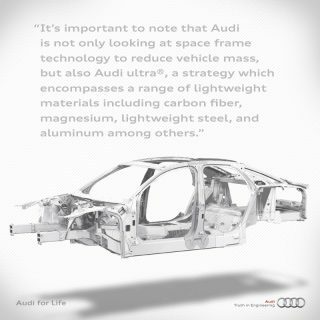 It’s important to note that Audi is not only looking at space frame technology to reduce vehicle mass, but also Audi ultra, a strategy which encompasses a range of lightweight materials including carbon fiber, magnesium, lightweight steel, and aluminum among others. AFL: In the United States, where technologies like Matrix LED headlights and digital rear view mirrors are not approved or allowed by the respective government regulatory bodies, how has Audi been working with such bodies to work on getting new technologies approved? Audi: Audi is working behind the scenes with E.U. and U.S. government officials to gradually implement the Matrix LED technology and other advanced lighting solutions in order to avoid the long wait for the complete overhaul of lighting regulations. However, Toyota recently called for an official rule-making process which has extended the time period; it will be a few years before we see the result. AFL: With bio-diesel becoming more readily available in grades above B5, are there any plans on officially supporting higher blends of bio-diesel in Audi TDI vehicles? 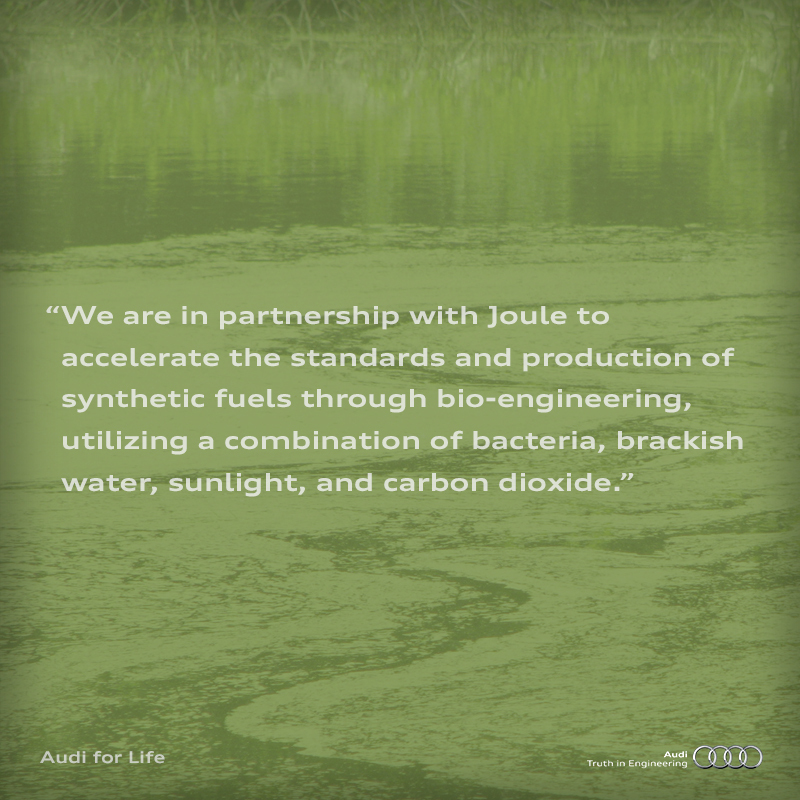 Audi: At the moment, there are no federal quality standards for bio-diesel here in the U.S. which makes it difficult for us and our consumers to properly care for their vehicles. That said, we are in partnership with Joule to accelerate the standards and production of synthetic fuels through bio-engineering, utilizing a combination of bacteria, brackish water, sunlight, and carbon dioxide. I would like to thank the entire Audi social media team for facilitating the Q&A and for putting together the graphics for #GermanCarChat and included in this post. Why did no one ask about the limited options Audi brings to the US? 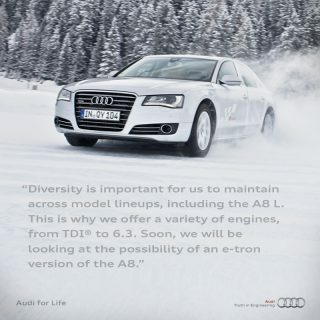 For example they didn’t bring a diesel A3 with quattro or any quattro A3 with a manual gearbox. Now they have stopped bringing the A3 hatch altogether, except for the e-Tron which will be even more expensive than the normal one. Every forum I’ve been on has had people complaining about all of the above. Audi should address this along with general reliability issues, IMHO. Based on my discussions with the contacts that I have at Audi (there were questions that I asked that didn’t make the cut), the lack of manuals comes down to business cases and the cost it takes to federalize each and every model and drivetrain option vs how many units can be sold. Believe me, I’m not entirely thrilled with the lack of manuals or the lack of a TDI quattro in the new A3 either. What about the e-Tron or A1? Will that ever make it to North America? The only Audi e-tron that is slated to come over to North America right now is the A3 e-tron Sportback plug-in hybrid. No word on the other e-tron concepts or the Audi A1 at this point.